Dr. Yue is on faculty in the Roski Eye Institute and the Ginsburg Institute for Biomedical Therapeutics of University of Southern California. The research of Dr. Yue focuses on developing novel approaches to restore sight to the blind. Dr. Yue has worked closely with patients who received the retinal prosthesis implantation to evaluate the safety and efficacy of chronic electrical stimulation of retina. Dr. Yue is committed to optimizing stimulation strategies to improve the visual experience of the blind, meanwhile developing minimally invasive alternative technologies for the next generation retinal prosthesis. 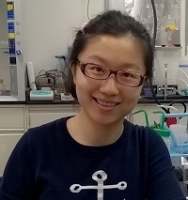 Dr. Yue is also pursuing translational research in bioelectronics and biophotonics for the treatment of a variety of debilitating neurological diseases such as traumatic brain injury. At USC, Dr. Yue is directing and co-direct multiple research projects internally and externally funded. Prior to joining USC, Dr. Yue obtained a Ph.D in biomedical engineering from University of Illinois at Chicago.